I’ve kept a reading diary since 2008. I’ve filled four fat notebooks so far, each taking from eighteen months to two years to fill, with about a page apiece of notes on the books I’ve finished. The entries are mostly about the books I read for pleasure: not the critical reading I do for work, since those notes usually go straight into my laptop. 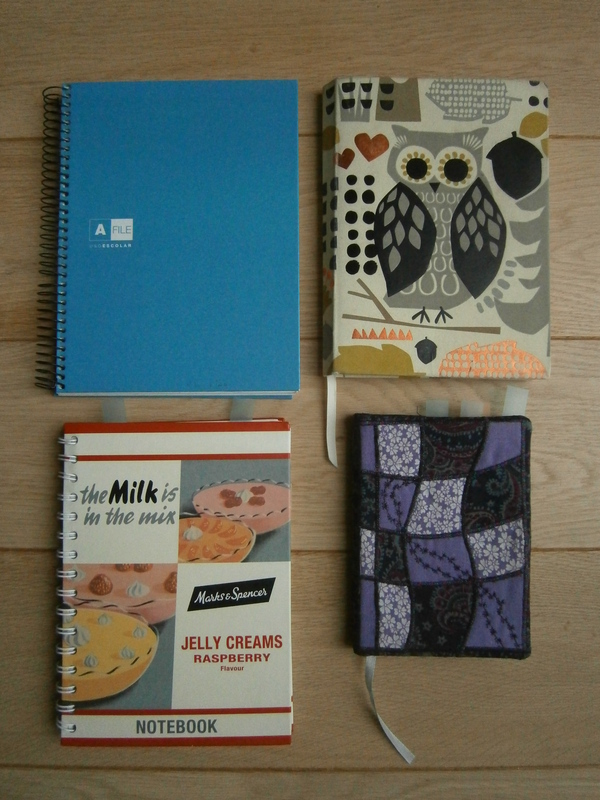 These are the notebooks that live beside my bed and go on holiday with me, that collect my life in books. When a notebook is finished, I index it. Why would I bother? It’s extraordinarily useful, if I’m working on a novel or an author, to know that I have read a particular title, that I had something to say about it, and it’s in that diary there. Filling in the index used to be a bit of a chore, but now I’m doing it for the fourth time, it’s getting rather interesting. I can recall my life by the books I read, why I read them (often for podcasting, sometimes for teaching), and I watch with fascination as the titles mount up and I realise how often I’ve been reading certain authors. 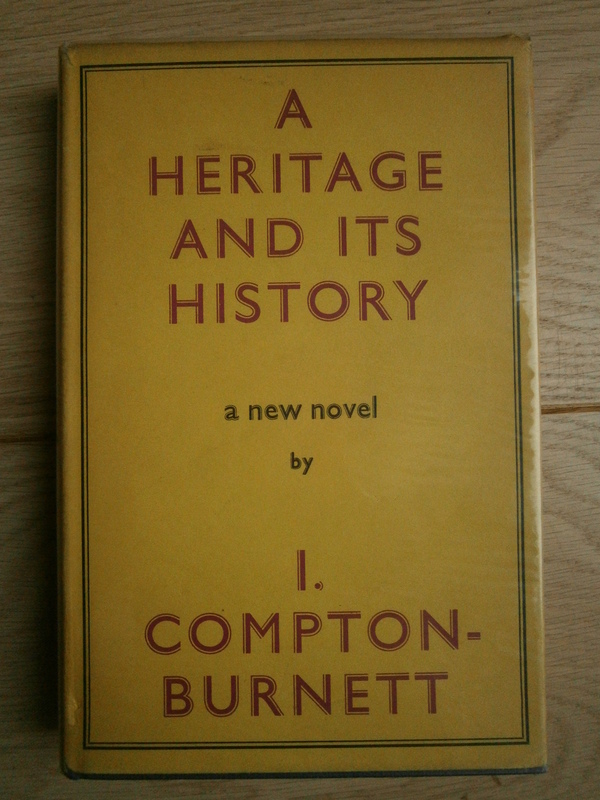 I can now see by the long list of Ivy Compton Burnett titles that I went through a phase of reading her novels addictively, though now I can’t recall anything to distinguish between them. When I added China Miéville to the index for the first time, I realised, appalled, that I had only discovered him two years ago. In contrast, I see I haven’t read, or recorded reading, any Stella Gibbons for six years, and I seem to have read far more Antony Hope than I can remember. I can track the years when I was writing up research on P G Wodehouse, from a positive infestation of Wooster in the Ws. There are great swathes of time when I was browsing on Jules Verne, interpolated with outbreaks of H Rider Haggard and an oasis of Barbara Pym. For three solid weeks I was reading nothing but Terry Pratchett and Valentine Williams. I break off from indexing to write emails to friends, because their books that I borrowed and wrote about in the diary remind me that I want to see them again. The discoveries aren’t all happy. I rediscovered the books I read while I was going through hospital treatment (comfort reading, mostly, and a very depressing novel about Henry James’s mentally ill sister), and the books by best-selling, trumpeted, acclaimed authors who I never want to bother with again (Tom Sharpe, Beth Patillo). I’m reminded of the novels I gave up on with indifference, boredom, or revulsion, and of authors for whom I had a brief intense craze and just as quickly tired of (Donna Leon). Nice serendipities are being created in the Index. 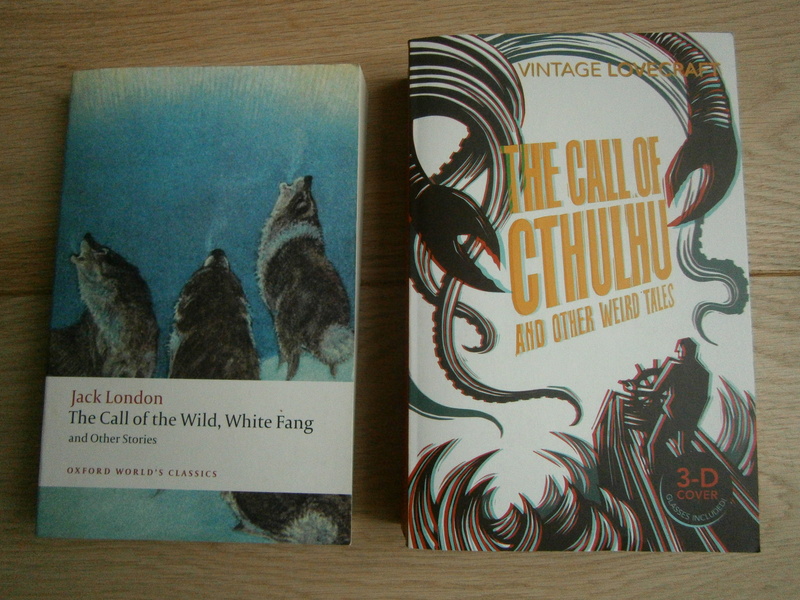 Jack London’s The Call of the Wild is next to H P Lovecraft’s The Call of Cthulu, and I feel they would understand one another. I think John Welcome and H G Wells would get on quite nicely, but not, perhaps, Evelyn Waugh and Mary Webb. Desmond Cory and Noel Coward would make a good thriller double act, all suavity and deadly action. which McInnes / MacInnes would you prefer? I have struggles over how to order the books: is Elizabeth Von Arnim V or A? Sylvia Townsend Warner: T or W? My system for arranging them on my own bookshelves (A and W), has to take account of book heights, and the book spines one does not want to gaze at every mealtime. To solve this, my bookshelves keep the fiction books within the capital letter of the author’s surname, and books by the same author sit together, but Jane Austen sits happily beside Isaac Asimov and is placed before Margery Allingham; Trollope and Thirkell are side by side because they are both of Barsetshire; Neil Gaiman sits in the tallest G shelf because Stardust requires the height. Modern hardbacks, bought because we can’t wait for the new Lindsey Davis or Barbara Kingsolver paperback, lie stacked on their sides in sequence, spines outward, making an author-themed bookend for the next letter. I am stricter with the index than the shelves because I value its perfect alphabetical workings. (I no longer make the indexes for the books I write: I would rather pay the worker’s hire than lose three weeks of my life and sanity to get the job done properly, and I can recommend an excellent indexer in South Carolina if anyone is interested.) 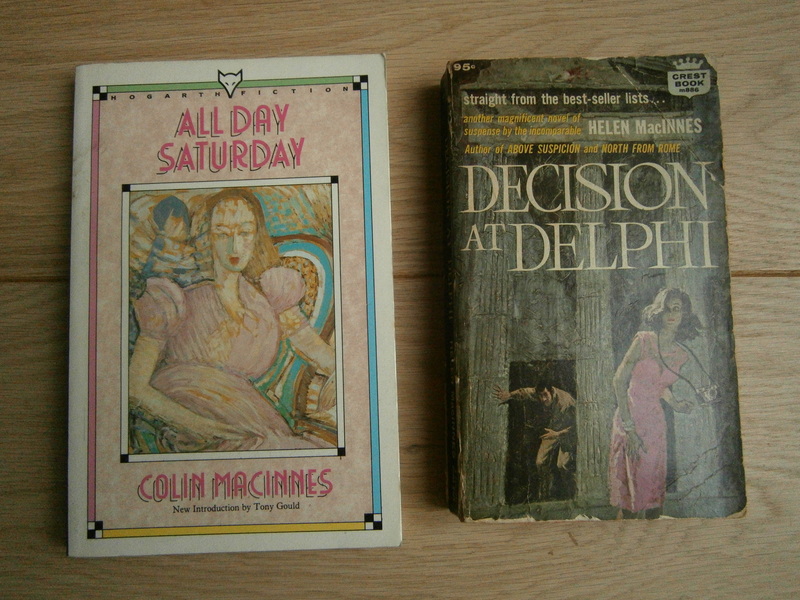 I am meticulous about Mac being indexed in its proper place in the alphabet, with Mc coming shortly afterwards, never the Macs and Mcs lumped in together in a ghetto of clan squabbles (but on the shelf, Colin MacInnes and Helen McInnes sit next to each other). I have a mildly dyslexic blur over the order of R, S and T, so it takes me a long time to be sure that Jan Morris and Alan Moore come before J B Morton. Molly Keane is taking charge of all the M J Farrells, because I prefer to use her real name. In six years I appear to have read around 800 titles, several of them several times over, in my spare time. 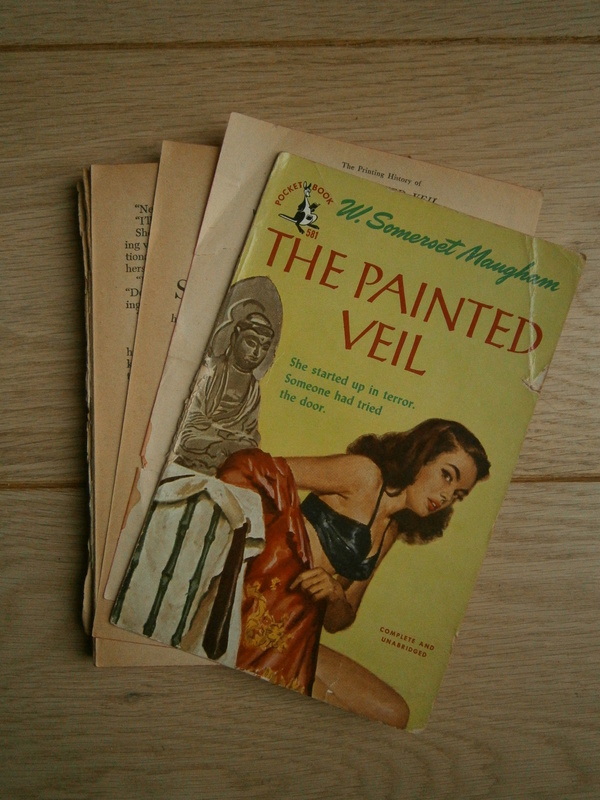 The most-read authors are Elizabeth von Arnim, E F Benson, Ann Bridge (out of horrified fascination rather than pleasure, but still), Charles Dickens, Georgette Heyer, Antony Hope, Storm Jameson, Barbara Kingsolver, Rudyard Kipling, Terry Pratchett, Barbara Pym, Arthur Ransome, Rosemary Sutcliffe, Mary Stewart, Josephine Tey, Jules Verne, H G Wells and Virginia Woolf. Those I’ve been reading a lot for book-writing purposes are Una L Silberrad, Rose Macaulay, Angela Thirkell, Dornford Yates, John Buchan, Valentine Williams and P G Wodehouse. My To Be Read pile currently holds none of those authors at all, and several who are still alive. Hello Kate Macdonald, I have enjoyed reading your piece on indexing a reading diary. I envy you your privileged academic status, enabling you to access academic journals which I used to access when a university lecturer until I retired. I have been intrigued by your uncompromising dislike of the writings of Ann Bridge. She is one of those middlebrow authors I have read and enjoyed, albeit being tolerant with her awkward prejudices. In fact, I have found these fascinating since they are a window on a world we might otherwise not readily see. I have particularly enjoyed Illyrian Spring, which you so disliked, seeing in it an interesting approach to women’s rights to creative freedom. Her four historical novels are, in my opinion, particularly worth reading. The Border Crossing provides insights into the Spanish civil war. The Dark Moment is set in Turkey and in it one can see the Turkish shift from feudalism to the modern era. The Net Tightens is set in Hungary as the Nazis invade, taking the perspective of the British diplomats, while No Place to Stand has the same setting but with an American perspective. I can see the cringe elements in all of them for you, but I wonder whether you can show me as engaging a woman author who lived through these events and can knit her personal experiences into such different narratives. Do you see any redeeming features in the broad spectrum of her work? I sort through hundreds of books donated to the Red Cross in New Zealand, for an annual book sale. I have come across most of the authors you list. Of them all, I have found Dornford Yates the most disappointing, given I enjoyed his work until I read about his utterly colonial way of life after the war. And anyhow I don’t like the way he puts his heroines on a pedestal. So I understand how one’s politics affect one’s reading. If you have got this far, well done! I admire Ann Bridge for her superb readability: she really has a strong grasp of what the reader will respond to, and she tells a story, not just a plot, convincingly. Mary Renault has the same qualities, also Rosemary Sutcliff. Storm Jameson would fit your category of a similarly engaging woman author who uses her experiences to tell marvellous stories. Thank you, I don’t know Storm Jameson’s work, and will follow it up.